This is how i built a steampunk keyboard. Tired of the ever present brass frame i wanted a wooden frame with hand made brass keys. Select a keyboard that will allow you to wrap the wood in one axis. More than one axis will complicate the process to an unbelievable level. Remove the top of the keyboard and all of the keys . Do not damage the key stems as yo will be reusing them later. Steam the wood to allow it to bend to shape. If you choose a very hard wood it will crack and splinter as you bend it around the keyboard frame. The next step is to use cyanoacrylate to adhere the wood to long edge of the keyboard. Leave some overlap on the sides of the keyboard , you will be cutting them off later. With a thin seam of thin quick dry glue adhere the wood to the plastic frame until the entire face is covered. Once the forward face is covered. Cut the side bars to cover the sides of the face of the plastic frame. Once the sides and top of the keyboard are covered with wood cut out the holes for the keys. some will be square and some round. square holes will require a great deal of extra care for the wood will split. Here is the departure between a worn surface look and a new ready to be abused look. prep the keyholes and cut and additional feature holes and markers now to save yourself the headache of damaging the finish later. Use sandpaper that matches the hardness of the wood to finish the surface and take any blemishes out. The finer the wood grain the finer the sandpaper you want to finish with. Use a light poly spray to seal the wood . Repeat over and over with the finest sandpaper available until satisfied. Wow 104 keys. Yeah but at 4 parts per key and 9 or so steps per key . First select a brass tube size that works with your keys. next get a metal yes metal plastic does not work! metal tube cuter to cut your keys with. cut 130 or so key tall sections of tubing. if you can use a table saw with a tube cutter attachment please save yourself the time and do so. use a section of tube to make a blank cutter. use a rotary tool to cut sections out of the tube. again at 130 times you will appreciate the time spent. Use a small diameter wheel to sharpen the inside of the tube. this will create wood sections with a trapezoidal shape allowing them to slide into the cups. take all 130 circles and insert wood blanks into one side. next print out the letters number and symbols you want on the face of the keys. use a permanent marker to darken the inside of the cup where it meets the brass. set all the cups on plastic wrap. Cut out the inserts and set them aside. Drop 1-2 drops of thin cyanoacrylate into the cup with the wood insert in the bottom. drop the paper insert into the still wet ca (cyanoacrylate). once the paper discolors from the glue drop one or more drops of ca on top of the paper to seal the paper to the wood. Once the glue is dry take a polymer pour product (resin/hardener product) and fill the cups. use a stick to dribble the resin into the cups until just over the top of the cup (slight convex? shape to the liquid. as in out at the center in at the edges). sorry no photo just does not translate into still. even if it did you will have to get right down to the table and look across the top of the cups to judge the fill level. cut the key head off at the seam between the surface and the empty center of the key. adjust the depth of the cut to match the key height and difference in each key head. Remove paint and buff the brass round of the key. after buffing insert the key into the keyboard. in this case i removed the numb lock led and used a bright blue led inside of a brass tube i mad to create an accent light controlled by the numb lock key since almost always on it works out well. By now you will have invested a lot of time and effort into your keyboard have fun!!! Instead of cutting individual metal hoops for the keys I would go to a hardware store and buy suitable sized "brass ferrules" They will be beveled and a bright colour with no ragged edges to sand. I would love to adapt this to a laptop as well and add a steam generator for power with gauges and interesting tubing...would be so cool eh. 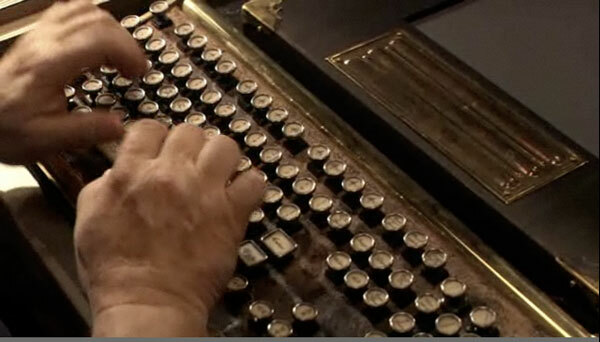 Reminds me of the keyboard that Artie uses on Warehouse 13. What thickness of wood are you using? Laminate? When you glue the wood to the keyboard is the result such that it will be impossible to open up the keyboard if needed for future repair? Does this actually work for a computer. you could work on this project and " fade-out" the rest of the world. I was trying to leave a comment for another commenter... lol... I'm new to the hood..
hello phirzcol I think that this is such an amazing project that I think that you should try to produce more keyboards because i would really like to buy one and i'm sure a lot of other people would too. Please Respond Soon.